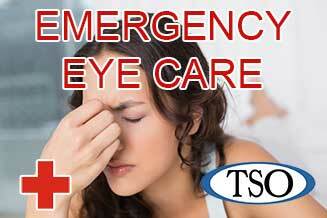 Please walk-in to TSO Greenspoint with red eyes, pink eye, or scratched eyes for immediate attention in Houston, TX. 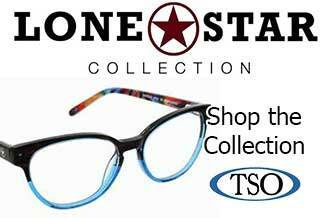 Texas State Optical has been taking care of the eyes of Texas since 1936. Our Greenspoint eye care clinic in North Houston near Aldine, TX is proud to be part of the TSO family which is built on a foundation of patient-focused care and quality products that stand the test of time. Our Greenspoint eye doctor, Dr. Savannah Dodds, and our experienced opticians continue to support these core values that have remained unchanged throughout the years. We’re pleased you want to learn more about our Greenspoint practice. Our Greenspoint eye doctors and opticians know what you’re looking for and Dr. Savannah Dodds is ready and willing to help you see and look your best. The staff and Dr. here are very friendly. They were very understanding and even put on cartoons for my son to watch tv while I had my eyes checked. The place is clean and they took the time to figure out my insurance. They have a nice selection of glasses too! Definitely check this place out. Great experience working together with Frank Hernandez and the team at TSO! Awesome service. Very attentive and clean facility. 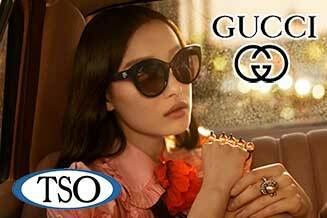 We have enjoyed building relationships with many of our patients and many times, entire families choose TSO for all their vision needs. There’s no greater satisfaction for an optometrist than to provide vision care for a grandmother, son, and granddaughter from the same family. 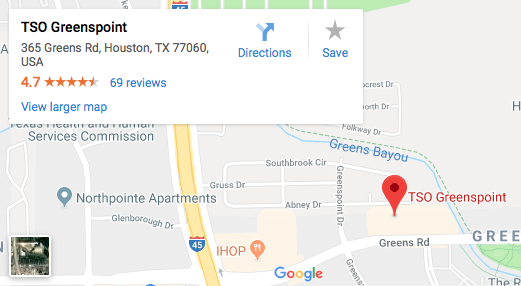 To serve you and your family, we are conveniently located near Greenspoint Mall on the Northwest end of Houston Texas. 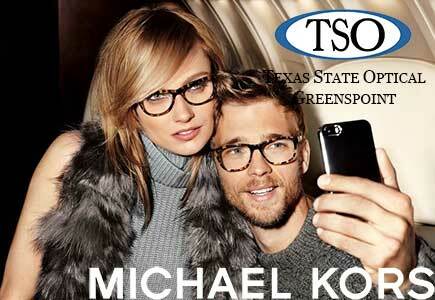 What makes Greenspoint Texas State Optical unique is our single-minded focus on the patient and their needs. We like to work closely with each individual and give them the eye care needed. 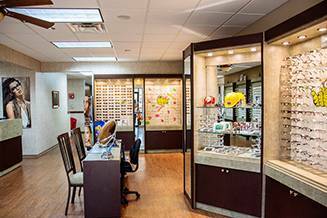 We at Greenspoint Texas State Optical in North Houston know that eye care doesn’t just stop at our front door. Taking care of your vision with regular checkups and proper contact lens usage are just a few of the things that you can do to make sure you can see well and look great! Watch Dr. Savannah Dodds Answers Your Eye Care Questions!